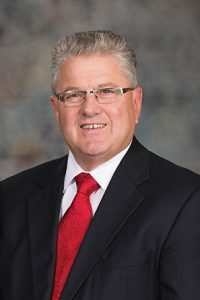 LB1005, introduced by Seward Sen. Mark Kolterman, would address the withdrawal of a county or school entity from the state’s retirement plans. 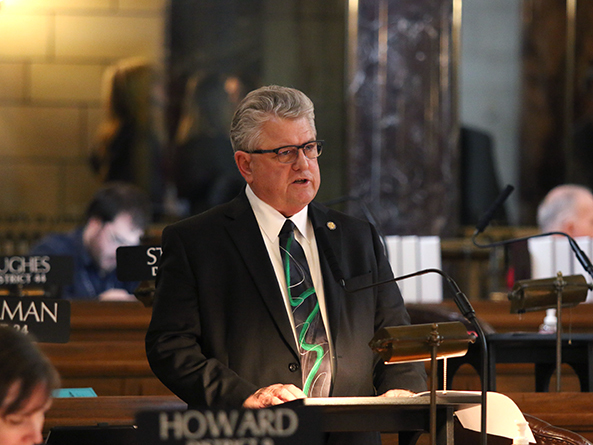 Kolterman said the bill would ensure that the county or school retirement systems are not financially liable for any of the costs of an entity’s business transactions that result in withdrawal from the systems. Kolterman said the bill was triggered by Saunders Medical Center’s interest in the possibility of discontinuing participation in the county retirement plan and by the trend of school districts privatizing parts of their organizations—such as bus drivers and food and janitorial service—which results in the termination of the employees in the school employees’ retirement plan. “The actuary has advised that these withdrawals and terminations of membership would likely result in funding impacts on the plan,” he said. • outlines how the employer would pay for the actuarial study and the amount necessary to fund the retirement benefits for affected plan members. Under the bill, affected employees who are terminated from the retirement plan would be considered fully vested and considered inactive within 90 days of the entity’s withdrawal or determination of ineligibility. On or after Jan. 1, 2019, no county hospital facility established could elect or discontinue participation in the retirement system. A Nebraska Retirement Systems Committee amendment, adopted 35-0, added provisions of an amendment to LB548, which was introduced last session by Omaha Sen. Brett Lindstrom. Originally the bill would have consolidated the Class V (Omaha) School Employees Retirement System (OSERS) with the School Employees Retirement Plan. Kolterman filed an amendment this session to replace LB548 and change definitions in the Class V School Employees Retirement Act to reflect new actuarial assumptions regarding mortality tables and interest rates. The amendment also inserts a new definition of solvency as the actuarially required contribution (ARC) amount as annotated in each annual valuation report. It requires the school district to deposit the annual ARC into the retirement fund by Aug. 31. “The majority of the provisions in the committee amendment are related to ensuring the plans administered by the state and the plan administered by OSERS remain sustainable, that funding payments reflect the amount determined by the actuary and that the employer who chooses to withdraw—in whole or in part—will bear any funding obligations so other plan members, employers or the state do not become liable for any funding requirements,” Kolterman said. LB700, which would remove the obligation of the state investment officer and the Nebraska Investment Council to invest the funds in the University Trust Fund. The fund is overseen and managed by the University of Nebraska and does not contain tax dollars. Following adoption of the committee amendment, lawmakers voted 38-1 to advance the bill to select file.